According to SKMM, Malaysia’s smartphone penetration grew from 68.7% in 2016 to 75.9% in 2017, and by all measures, will most likely show an upwards trend this year too. This puts our smartphone penetration at a slightly higher value than the Southeast Asian average, and perhaps why China’s e-wallets have their eyes on us for expansion. We are, for now, the only nation in the world that is able to use WeChat pay in our local denomination. The environment is also fertile ground for payments in Malaysia to flourish, a renaissance of the e-commerce boom circa 2015 that led to the rise of payments fintech. 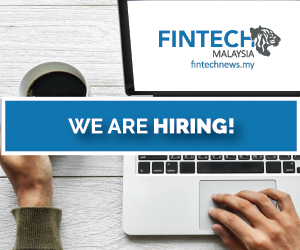 Malaysia’s payments scene hosts notable names such as Soft Space, which we have identified as one of Malaysia’s top funded fintech firms thanks to its Japanese expansion. Other notable internet payment enablers that have been eking out a large portion of Malaysian business include iPay88, MOLPay, eGHL, with others like billplz also carving out their own niches. Living in an ecosystem with a famously disjointed and messy parking system has also given rise to parking-related payments companies, such as JomParking—allowing Malaysians to pay via mobile phone instead of having to contend with token machines or noisy parking ticket machines. But one cannot talk about the resurgence of the payments scene without also discussing the rise of e-wallets in this region, in a bid to emulate that worked in China and seemingly the next step in our e-payments evolution. So far, we have not produced unicorn wallets yet ala GrabPay that has made its way here from Singapore, or even Go-Jek’s Go-Pay. Both of these unicorns didn’t start out in payments, but their status certainly helped grow and expand their offerings. We talked about it before, but it is still a question worth asking: are there too many e-wallets in Malaysia? Opinions are still mixed, with some concerned about user fatigue while others argue that competition breeds excellence. The field does seem promising. RM6.5 trillion was transacted through online banking, leaps and bounds over the billions in credit or debit card. This was part of the reason behind MOLPay’s and iPay88’s success, as making online purchases directly through their bank accounts seem more convenient. In sheer value, debit and credit card transactions still overtake e-money transactions, yet in transaction volumes, e-wallets have overtaken card payments. This showcases some success in Malaysian e-wallet’s vision of enabling smaller transactions, as usually cards are imposed a minimum spending limit (illegally). 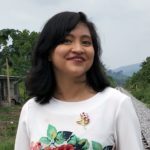 My personal observation so far is that many of the e-wallets in Malaysia are just doing what worked elsewhere, and offer nothing unique to cater to the Malaysian people. That being said, for what they are, some wallets certainly feel refined, and strategic partnerships do lead to heightened interest. 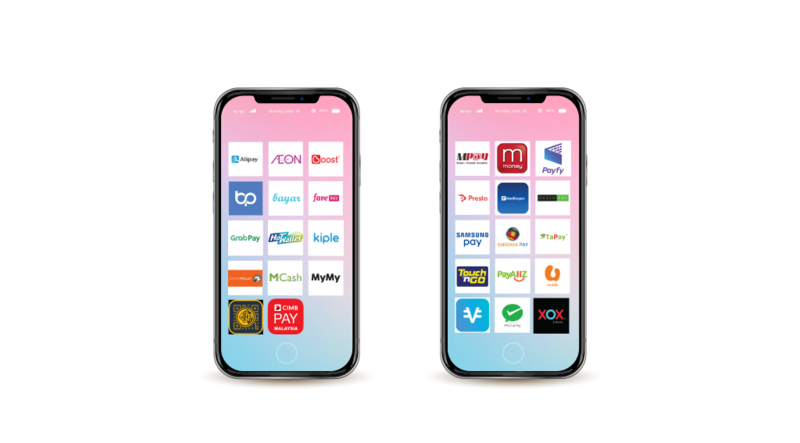 At this juncture, there are a few e-wallets that have begun to turn the tide in the coliseum and make a name for themselves, but it’s hard to say if any show signs of leading the curve. In this, we are pretty much in the same boat with many other nations in Southeast Asia. In all likeliness, considering the high penetration of e-wallets across neighbouring countries, whatever giant that rises in our region will probably stay within Malaysia. Users in Singapore are long used to digital payment methods like PayPal, Visa Checkout, MasterPass, Apple Pay, Samsung Pay, and etc, but they and other Southeast Asian nations are no less inundated with large swaths of local players. With the exception of Singapore, many Southeast Asian countries saw a sudden surge in e-wallets sometime in 2018. It’s said that Philippines and Thailand have adapted well to the use of e-wallets, more than us, perhaps in no small part owing to a heightened need for financial access from low banked populations. 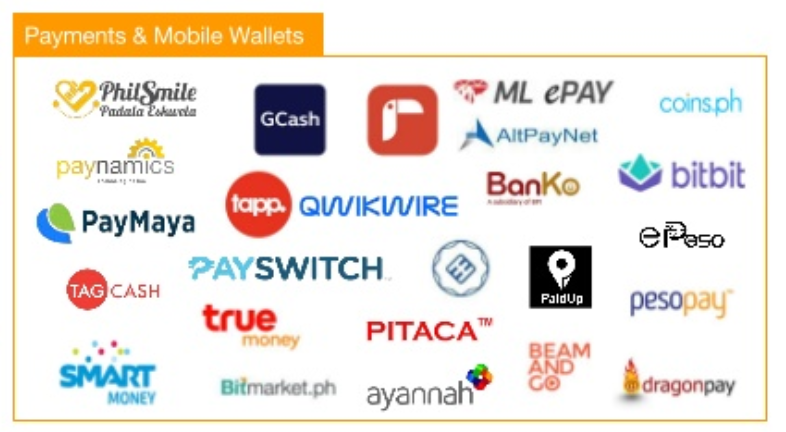 Payments and e-wallet players in Phillippines. Meanwhile in Malaysia, e-wallets seem like an added hassle. Many of us already savvy to cashless prefer bank-affiliated cards, which already provides discounts or cashbacks. That’s at least 74% of Malaysians. This leaves wallets to target more cash-dominated areas, like hawker stalls, bazaars, or less developed areas with low card payment options. 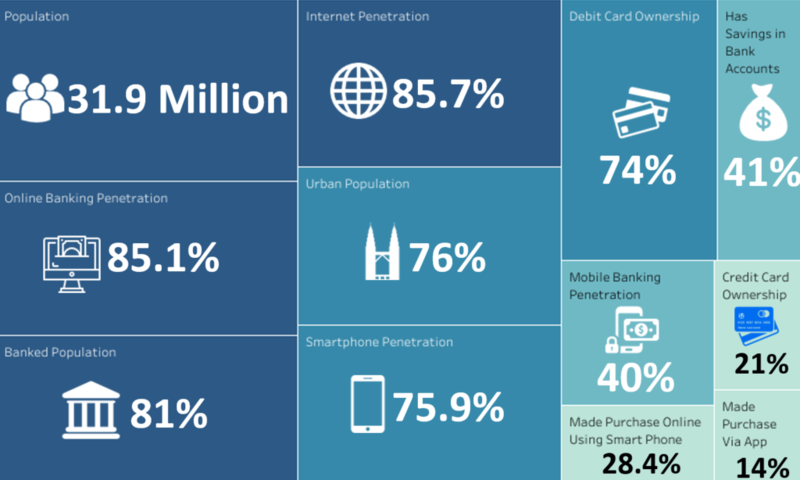 While mobile phone penetration is high, only 28.4% of Malaysians have made purchases through a mobile phone. We’re similar to Singapore in this regard, it citizens primarily using the NETS network that facilitates debit and credit card. In fact, Fintech News feels like Malaysia and Singapore are on a similar payments trajectory, only at different stages. That’s not all we have in common. Malaysia and other Southeast Asian governments are permissive or even encouraging of this e-wallet battleground, and growing internet infrastructure has been helping with adoption. Many wallets eye a promising future ecosystem and hope that similar to China or Kenya, would eventually coalesce into convergence and the rise of a few dominant players. In the meantime though, all of these wallets will have to absorb high prices in encouraging adoption, and cutting through the trust issues Southeast Asians have about mobile wallets. 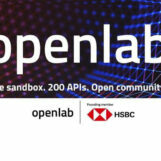 Many Southeast Asian countries are united in firstly, encouraging interoperability between banks, and secondly evening out the battleground between financial institutions and new local players. Tan Nyat Chuan from BNM explaining ICTF. The Monetary Authority of Singapore has the Singapore Quick Response Code (SGQR), a single QR code network that should be compatible with 27 e-payment providers in hopes of simplifying an increasingly messy landscape. They’ve also been working on an interbank payment gateway, allowing both financial institutions and fintech firms quicker access to the nation’s Fast and Secure Transfers (FAST) system. Malaysia combines both of these functions into its Interoperable Credit Transfer Framework (ICTF) framework—planning to issue their own universal QR code (though it has been said that the ICTF won’t compel Malaysia’s wallets to be on the system, only make it available as an option). Its goal, in parts, is to put local e-wallets and banks on a more equal ground through encouraging interoperability. One of its measures is the Real-Time Retail Payment Platform, with the long-term plan of linking one’s monetary account with unique identifiers like mobile numbers and IC numbers for payments. The Indonesian central bank has its National Payment Gateway (NPG). The first phase last December was focused on building interbank infrastructure to reduce the cost of interbank transactions, and also reduce toll payments for road users. The second phase, yet to be deployed, would facilitate lenders to cut cross-bank transaction costs by streamlining the process out of its inefficient bureaucratic layers. As an aside, this could boost Indonesia’s increasingly valuable P2P lending scene. Phillippines’ InstaPay was built by the Banko Sentral Ng Pilipinas (BSP) in April to create smooth interoperability between different banks, though it may still require more banks on board to see a lot of value. Many of these measures, while similar, are conducted in their own country silos. This is in contrast with the Bank of Thailand and Cambodia, that have joined forces to roll out a joint QR code payment system by 2019. The Bank of Thailand has also initiated a cross-border fund transfer in collaboration with Cambodia, Laos, Myanmar, and Vietnam, which hopes to reduce the costs for migrant workers to transfer funds between regions. Focus on interoperability has forced existing financial institutions to expand or upgrade their payments systems as well, so many of them that were already doing so gained an advantage in that regard. Malaysia, more recently Vietnam, and many other Southeast Asian nations can track the rise of digital payment fintech through the rise of e-commerce. Companies like MOLPay and iPay88 made their marks here specifically through increased digital payments for online shopping or food deliveries like foodpanda. Now, similar payments companies could also see continued business through the plethora of e-wallets available, by facilitating online banking transfers from bank accounts into e-wallet accounts. We think that Malaysia’s e-wallets still has a long way before it hits its peak, and Southeast Asia’s overall faith in the growth of e-wallets lends well to this conclusion. The question is: will e-wallets here dethrone plain old plastic, or will they be players at equal footing? With most of us on a similar trajectory, could we look forward to collaborations between central banks to grow their cashless societies, ala Thailand and Cambodia? Or would the collaborations veer towards inter-company collaborations? Many observers predict coalescence and dominance of a few e-wallets in each country, which would be a fair assessment based on precedent. But with a whole region heading towards the same direction, there is a possibility that companies will coalesce across country borders as well. As it is, we don’t see Malaysia forming an e-wallet giant on its own, but it could still very well play a part in forming an inter-SEA e-wallet giant. And that would be an interesting combo-breaker.